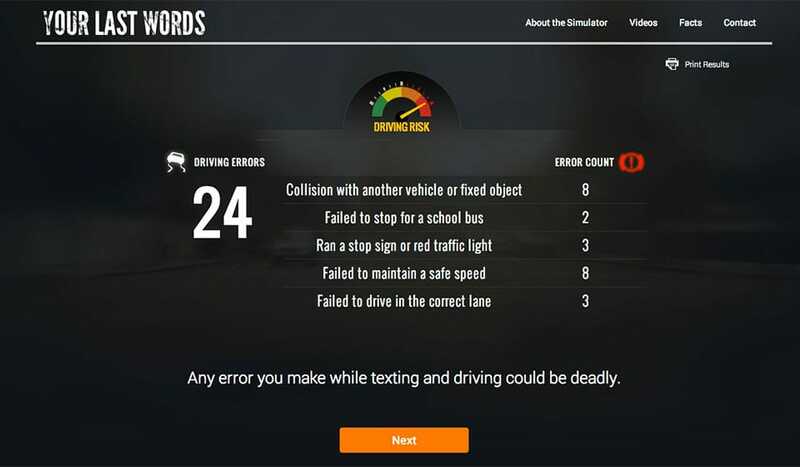 Tactica creates an innovative app helping young drivers experience the dangers of texting and driving. Manitoba Public Insurance (MPI) wanted to communicate the dangers of texting and driving to young drivers. One quarter of all road fatalities in the province are linked to distracted driving, so getting the message to resonate with drives could help save lives. Tactica and MPI conceptualized and built an innovative distracted driving simulator allowing users to experience the dangers of texting and driving firsthand in a safe environment. 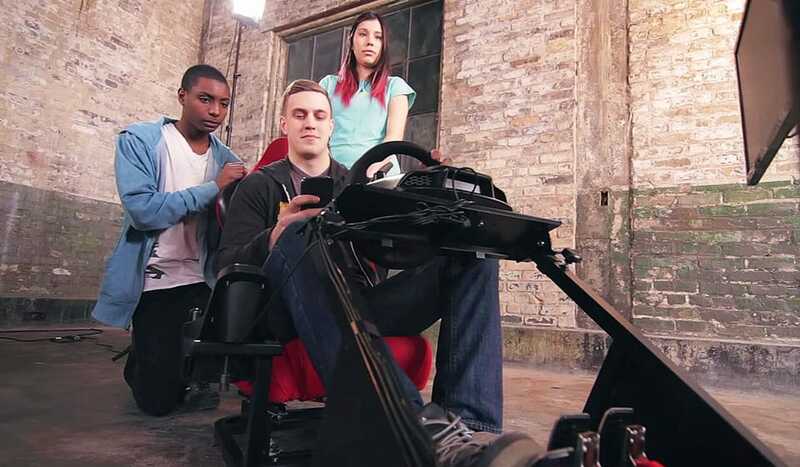 The simulator is an immersive two screen experience that connects a desktop 3D driving game to a web app on the user’s mobile device. While driving a realistic highway and city route they are sent text messages from a fictional friend within the game. The text messages are designed to adapt and elicit responses from the user as they drive, making it a more authentic experience. Every move the player makes in the game is tracked and in the end they’re presented with a detailed list of their driving errors. To complete the experience they’re asked to make a personal pledge to not text and drive. Their pledge can be instantly shared with friends on Facebook, Instagram, Twitter, and email. 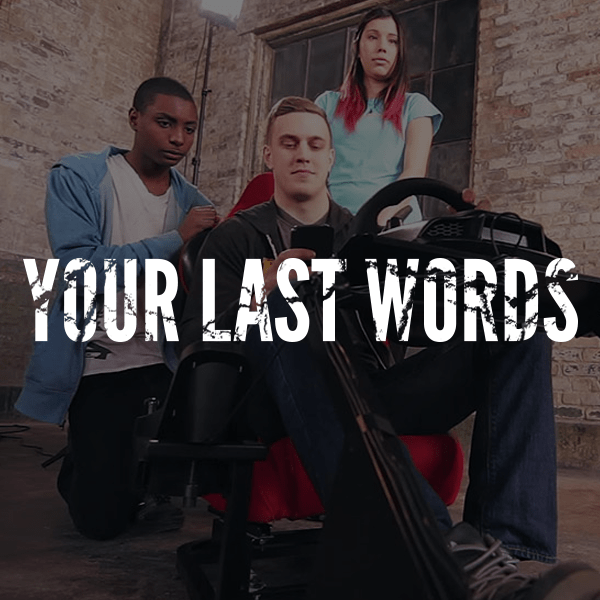 The simulator is available online, at www.YourLastWords.ca, and an installation version, including a full driving cockpit, will be touring locations across Manitoba. 80% of students agreed that it convinced them it is not possible to safely text while driving. 85% of students indicated that they were more committed to not texting and driving after using it. 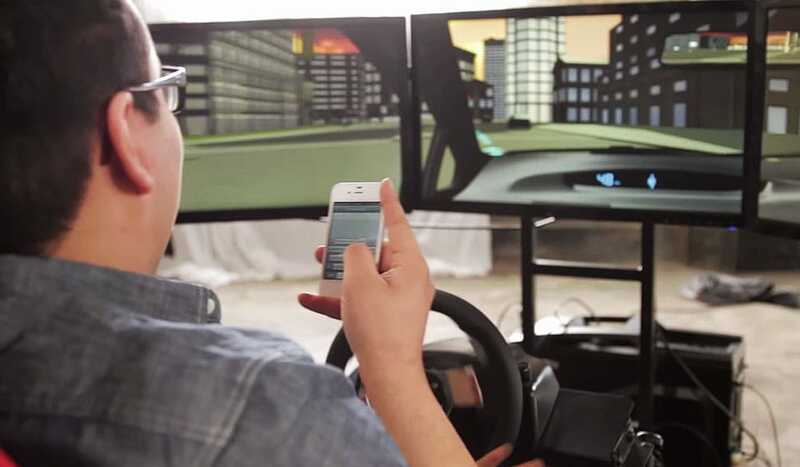 76% of students said the simulator impacted their views on distracted driving in some way. 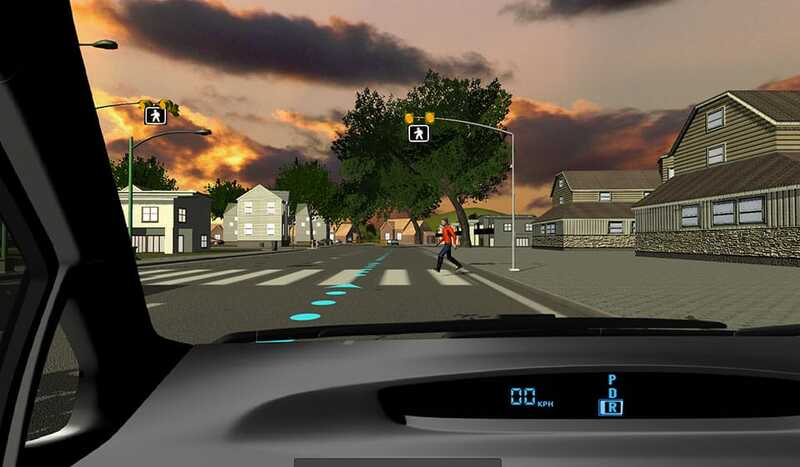 MPI was so impressed that they have now added the online simulator and a standalone desktop app to Manitoba Public Insurance’s Driver Education curriculum. Nearly 12,000 students take the program yearly in Manitoba. Manitoba Public Insurance is a non-profit Crown Corporation that has provided basic automobile coverage since 1971 and is dedicated to keeping Manitoba’s roads safe and vehicle insurance rates low. Part of MPI’s mission is to make our roadways safer by enforcing standards for drivers and vehicles, and by raising awareness of the inherent risk of driving. MPI develops educational programs and controls that help and encourage Manitobans to acquire the skills to avoid collisions.